Endoscopic cholangiopancreatography has been, since its inception, a study day to day is more likely, not only diagnostic but also therapeutic. 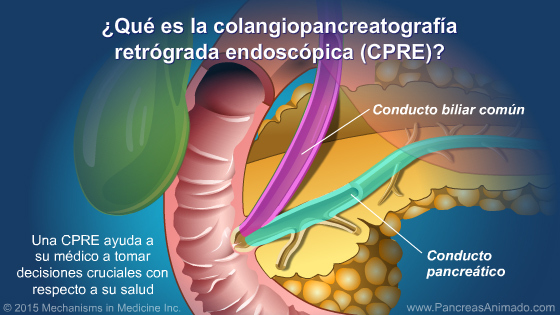 Endoscopic cholangiopancreatography (CPE) is a procedure that combines radiological and endoscopic techniques. Their usefulness lies in the ability to visualize both the ampulla of Vater and the pancreatic duct and the intra and extrahepatic bile ducts. * Tumors of the pancreas. * Tumors of the bile ducts. * Tumors of the ampulla of Vater. * Dysfunction of the sphincter of Oddi. * Go to the X-ray room with an adult. * You can not drive in the next 24 hours. * Suspend antacid medication 24 hours before.